Alter The Press! 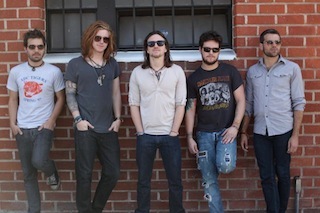 : We The Kings Confirm New Album Title "Vitam Regum"
We The Kings Confirm New Album Title "Vitam Regum"
We The Kings have confirmed their new album will be titled Vitam Regum. A video of frontman Travis Clark recording vocals for a new song in the studio with Elena Coats can be viewed below.